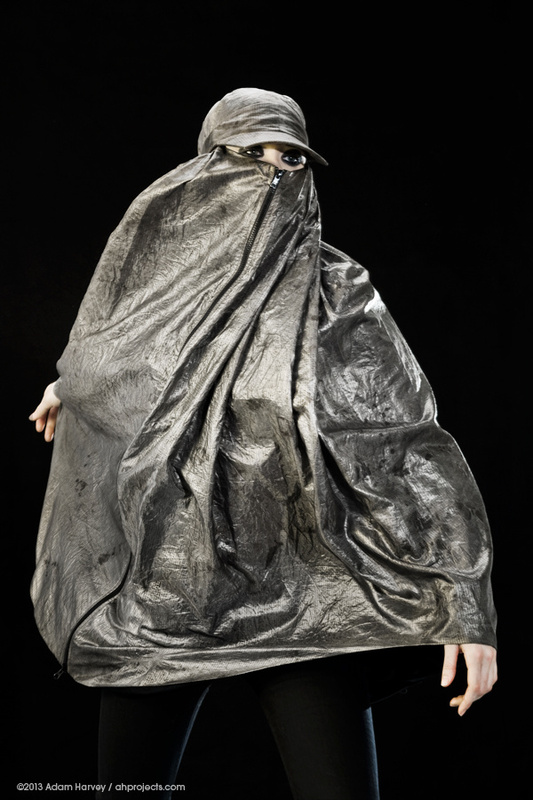 As drones, facial recognition technology, and cellphone snooping are starting to affect the broader culture, the New York-based artist Adam Harvey has designed a line of high-tech garments made with sophisticated fabrics that can block signals and thwart cameras. The clothing is primarily intended to spark a dialogue about the rapid advance of surveillance across society. Though they are pieces of concept art, at the same time they do have a genuine practical use and are being manufactured for public sale. Harvey hasn’t pinned down exactly what the cost of the garments will be yet—and he admits they’re not likely to be cheap, due to the expensive materials involved. But it doesn’t take a genius to predict that activists and other privacy-conscious individuals will be among his first customers. The “fashionably paranoid market” is his target demographic, Harvey jokes.